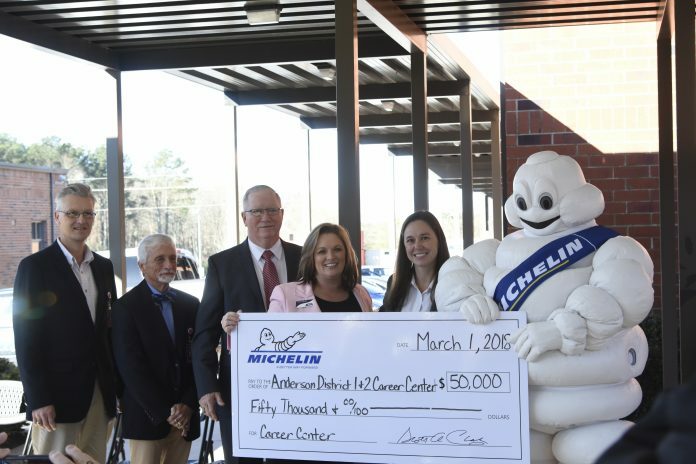 Anderson Districts 1 & 2 Career & Technology Center received a $50,000 donation from Michelin North America during a special presentation Friday (Mar. 2). The funds from Michelin will support and help maintain the Mechatronics program at the center. 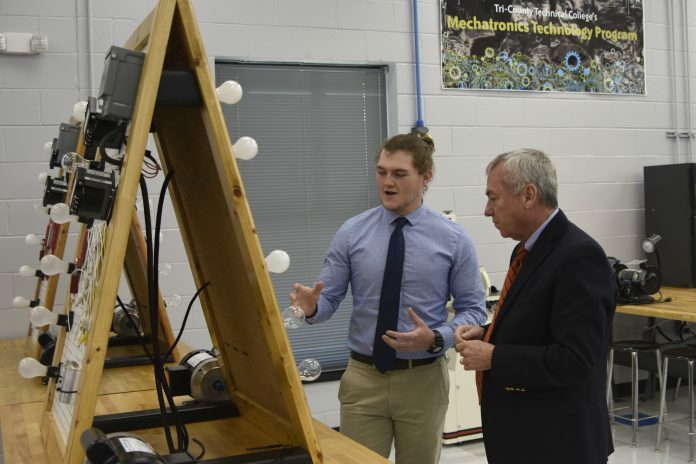 Mechatronics is a three-year program that provides students starting their sophomore year with dual credit through Tri-County Technical College. According to ACTC Director Hollie Harrell, Mechatronics is a new interdisciplinary field involving mechanical systems, instrumentation, electronics, robotics, automation, computers and control systems. Mechatronics technicians are trained to master the skills necessary to install, maintain and repair this sophisticated equipment. 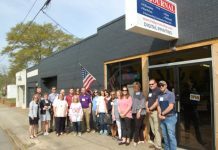 “With technology and automated processes advancing quickly in today’s fast-paced workplace, these maintenance roles are vital to the success of manufacturing in the Upstate for Michelin and other industrial companies helping drive the state’s economy,” said Melanie McLane, personnel manager for Michelin North America, Inc.’s Anderson facility. “Thanks to Michelin’s generous support, a training center will be completed and equipped with advanced manufacturing equipment,” said Harrell. A plaque was placed at the front entrance of the training facility, recognizing the Michelin partnership. The training facility is located in a former conference center room, which doubled the classroom space for the program. A new conference center being constructed in the front of the center is slated to be completed in April. The donation will help the CTC in their effort to produce a skilled workforce in Anderson County. The expanded Mechatronics facility provides students with dual credit opportunities with Tri-County Technical College. 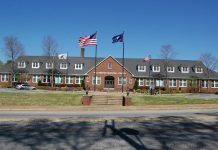 The Career and Technology Center serves 2,100 students in 20 curriculum fields. Harell has been Director at the CTC for four years and on the staff since 2002. Mark Franks is the Mechantronics instructor. BHP student Cade Gambrell talks with a Michelin representative as they look over training equipment in the Mechatronics classroom at the Career & Technology Center in Williamston.